Porter, TX, October 12, 2018 — Accurate Home Services has been nominated for the Lone Star Community business of the year award. What an honor it has been to have been nominated for this award on four occasions, as well as, a finalist for the award in 2010. According to http://www.lonestar.edu/news/31636.htm, winners are chosen based on leadership, entrepreneurial spirit, business growth and success, as well as a meaningful contribution to the community. 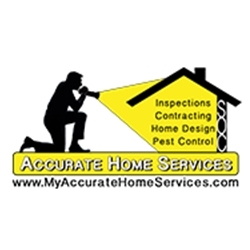 Accurate Home Services strive to bring you the very best in Home Inspections, Pest Control, Home Construction and Consulting. Being in the business for over 20 years makes their experience skilled and accurate. Being nominated for this award again solidifies that Accurate Home Services continues to put their customers first, listen to their needs and respond in a way they total understand. Because they love what they do, they treat every job with professionalism and build your trust along the way. Thank you Lone Star Community Small Business of the year for recognizing Accurate Home Services for the Small Business of the Year award. They appreciate you and look forward to celebrating all of the nominees, as everyone has truly stepped up and deserve this award collectively. For more information, please contact Larry Fleming at 281-745-0234, email [email protected] or visit Accurate Home Services website at www.myaccuratehomeservices.com.